Since my final hand-in I’ve been celebrating in my own little way. Nothing fancy or spectacular, but doing things that have really brought a smile to my face. Today I went out for the day to York, which was beautiful. The weather was glorious and we had some food at Ask Italian. You can currently get two courses for £10.95 (there are exclusions) but it’s seriously worth the money! All you have to do is look for the voucher online. Just type Ask Italian voucher into a search engine and one should come up. It’s really great value. Today I had the calamari to start, and a seafood risotto. It felt so fancy compared to food I’ve been eating during essays and was a real treat. We also went into the most fabulous book shop that had seven rooms stacked wall to wall with beautiful books. I came away with one (how could I resist!) that I think will be great towards my thesis preparation, though this is something I still need to apply for! it’ll get done soon, I’m sure. 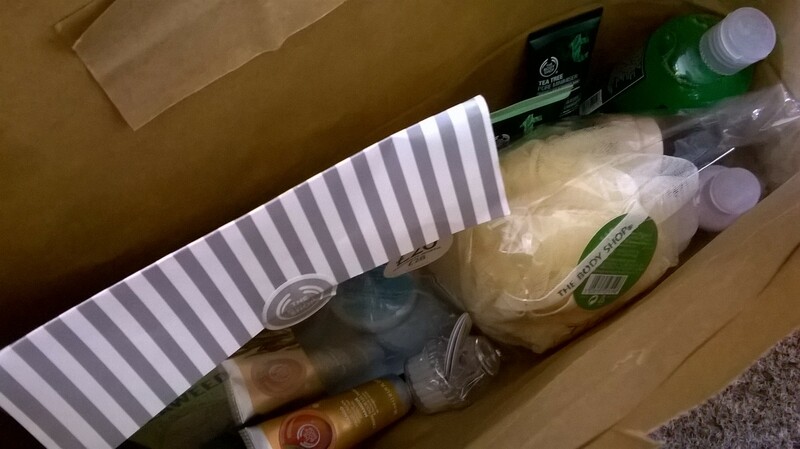 I’ve also been buying some lovely pampering goodies to give myself some well-deserved TLC. 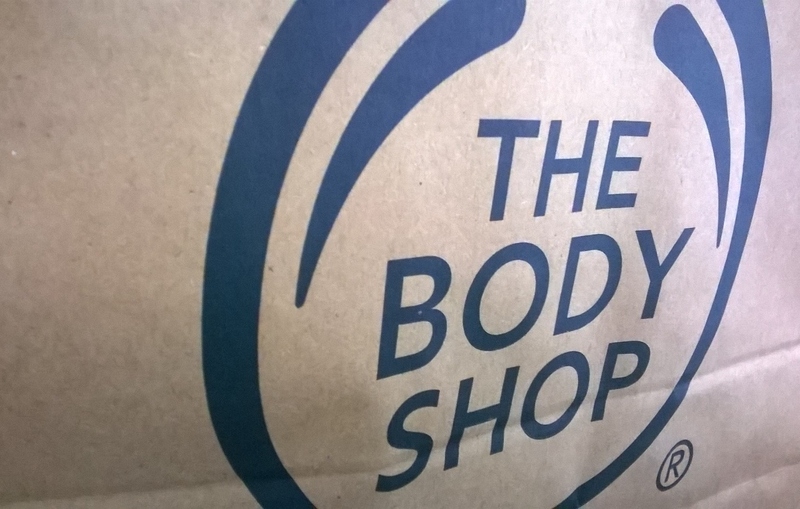 I bought some things from The Body Shop to try, and I initially purchased a selection from their skin care range. My skin has really flared up due to assignment stress/pain, and I used to suffer with acne fairly badly, particularly when I was younger. It was so bad I was on medication, but thankfully it’s calmed down enormously. I still have acne-prone skin though, so i thought I’d give their tea tree range a go. I’ve never tried this range before, but so far, I’m really impressed. I also ended up buying a gift-set for my boyfriend and got some other little wonderful goodies because i couldn’t help myself. I’m going to write up a review/haul post of all the things I purchased just in case you might want to check them out for yourself. I think I’ve found some really great products that are helping me to look after myself, and unfortunately because of pain – and associated tiredness – there hasn’t been much time to make myself feel good, so I thought I was due a good pampering session. Besides, pampering is always acceptable! My boyfriend has gone back home today which is sad. I’ve been living with him for the past few weeks and he’s really helped me with managing my pain. He really seems to understand what I need and when, and I’m so grateful for that. We went out to town yesterday and did a little bit of shopping. 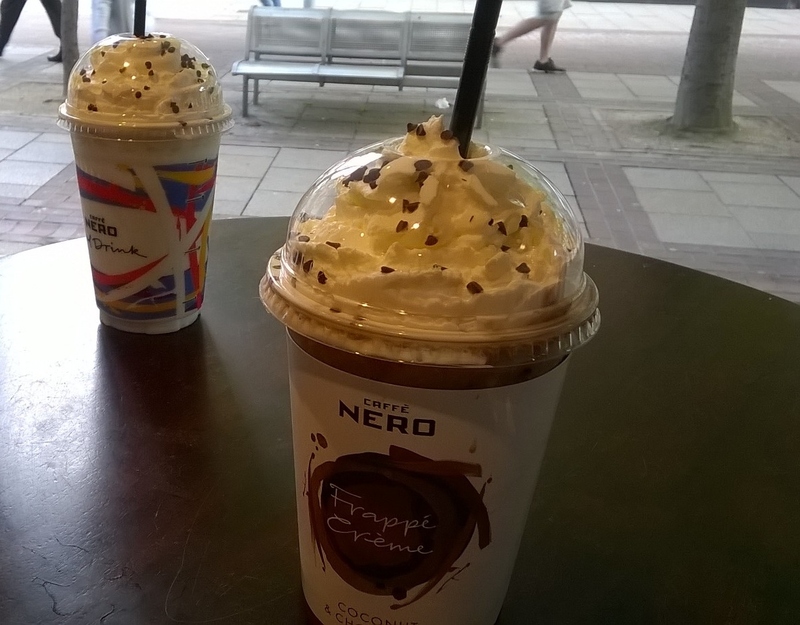 The Caffe Nero iced drinks were a fabulous little treat. I had the chocolate and coconut frappe creme, and I highly recommend it! Well, I’m really rather tired so I think it’s time for some painkillers and maybe an early night. The End of Year Ball is tomorrow, which will be very exciting. Here’s hoping for another glorious sunshine-filled day! 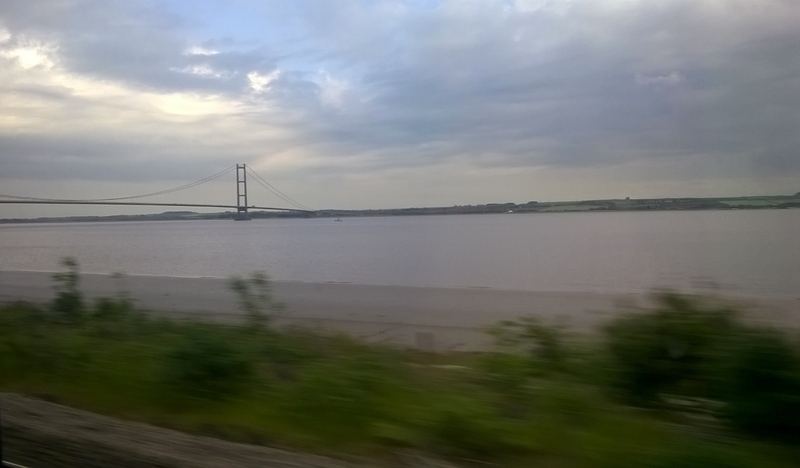 Here’s a picture of the Humber Bridge from the train. I just had to include this; there’s something about that view that really fills me with joy. Hope you have a great start to your weekend, whatever you may be up to.